All data on computers is stored and transmitted using the binary number system. When the binary digits need to be sent over the phone lines (which often happens in home internet connections), the digits are converted to sound and decoded at the other end using a modem. 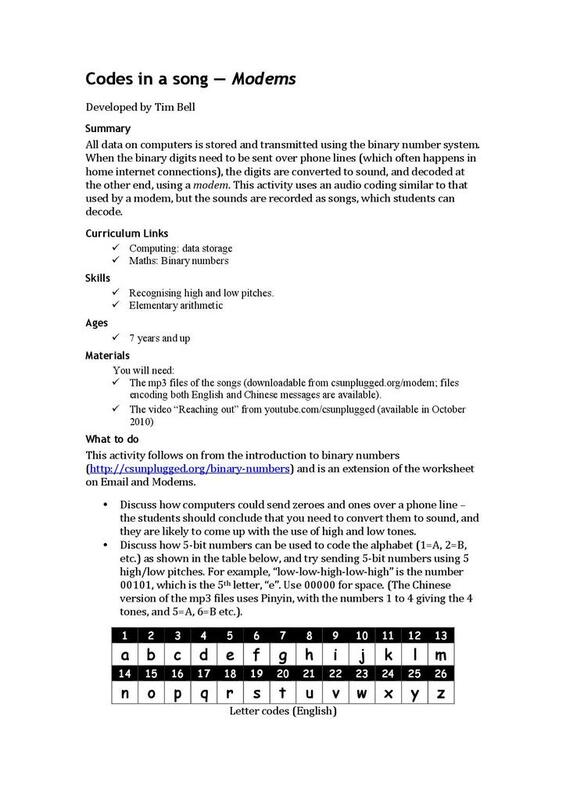 This activity uses audio coding similar to that used by a modem, but the sounds are recorded as songs, which students can decode. This resource has been provided by Computer Science Unplugged.